The Differences Between Rigid and Flexible Circuit Boards | Northpoint Technologies Inc. If you open up any technological product on the market today, you will find a circuit board tucked inside of it. The circuit board serves as the backbone of the product and includes all the wires and circuitry that are needed to run it. However, not all circuit boards are created equal. There are rigid circuit boards as well as flexible circuit boards that are used by companies producing new forms of technology. As you might imagine, these two types of circuit boards are quite different. The most obvious difference is that rigid circuit boards are, well, rigid and cannot be bent to fit inside of a product. The company producing it must find a place for it to fit. Flexible circuit boards, on the other hand, come in handy whenever space is limited inside of a product like a medical device, automobile sensor, or other consumer electronic. A flexible circuit board can be used inside of any product that doesn’t have a lot of available space. It’s why they’ve become so popular in recent years. 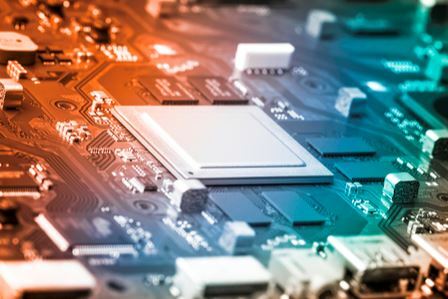 While rigid circuit boards remain in the picture because of the low costs associated with producing and installing them, there are also other differences that set flexible circuit boards apart and make them an attractive option for many companies. In addition to saving space, they’re usually a lot lighter than rigid circuit boards. That will result in the product that’s housing them being lighter as well. They’re also very durable and will prove to be shock and vibration resistant. Additionally, companies don’t have to worry about heat warping flexible circuit boards or chemicals or radiation damaging them. There are so many benefits you’ll enjoy with flexible circuit boards. To get more information on how they work and how they can help your company create superior products, call Northpoint Technologies at 915-591-6300 today.